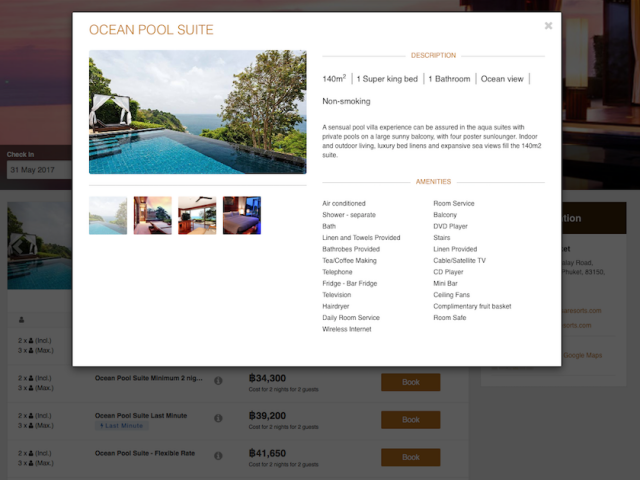 Web Connection the digital marketing agency for hotels, launches its latest version of the cloud-based software EasyBooking, introducing brand new features to help boost revenue. EasyBooking is an Internet booking engine specifically designed for hoteliers to increase direct bookings from their website visitors. In the latest round of development updates EasyBooking has added urgency tactics, improved the room information display and made a customisable guest information form for a smoother booking process. Creating a sense of urgency is a popular tactic used to increase conversions, enticing guests to book now rather than later. Hotels using EasyBooking now have the ability to add messages such as “Hurry! Only 2 left” or “Book now and save 20%” to help drive sales. To enable guests to easily compare room types, EasyBooking has added a new display with at-a-glance information next to an enlarged room photo. The room size, bed configuration, bathrooms, view and smoking preferences are all now displayed above the description. This added feature makes it easier for guests to make a decision, increasing usability. Streamlining the booking process is also a key way to increase conversions. By offering hotels the ability to customise the guest details form, EasyBooking has now made it possible to reduce the time it takes to complete a booking. Guest name and email address are required by default, but additional information such as telephone or address are now optional. For more information and to take advantage of a 14 day free trial, get in touch at sales@webconnection.asia.